But I say to you, That in this place is one greater than the temple. When Jesus and His disciples passed the wheat field on the Sabbath day, some disciples were hungry and then plucked the ears of grain to eat. Then the Pharisees questioned Jesus that why His disciples did so. 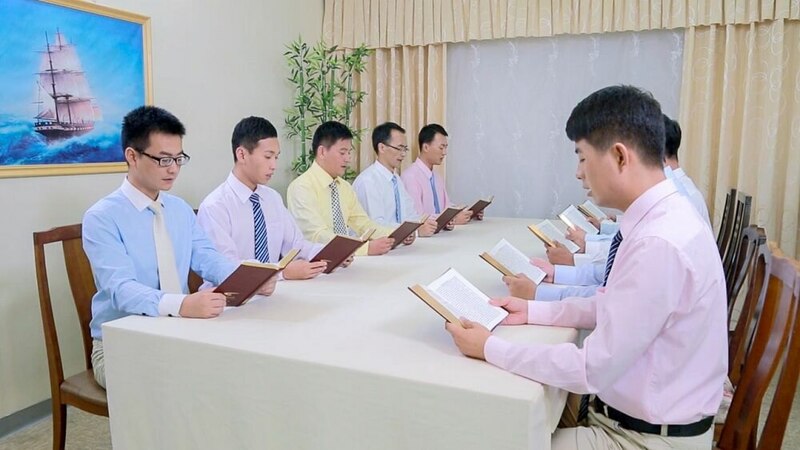 Jesus said many things and that “in this place is one greater than the temple.” At that time, many people didn’t understand the true meaning of Jesus’ these words. In Jesus’ eyes, most people in the Age of Law were incapable of keeping the law and no longer worshiped Jehovah God. They just went through the motions even when they offered sacrifices to God. They didn’t fear God but worshiped the temple. Through these words, God not only revealed mankind but also admonished mankind against seeing the temple as something greater than God. 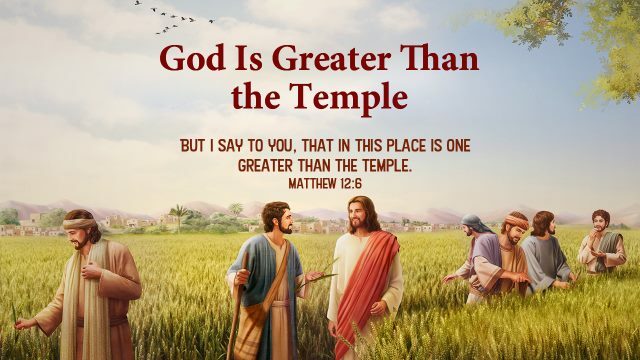 God says, “When the Lord Jesus said ‘in this place is one greater than the temple,’ who did ‘one’ refer to? Clearly, ‘one’ is the Lord Jesus in the flesh, because only He was greater than the temple. What did those words tell people? They told people to come out of the temple—God had already come out and was no longer working in it, so people should seek God’s footsteps outside of the temple and follow His steps in His new work. The background of the Lord Jesus saying this was that under the law, people had come to see the temple as something greater than God Himself. That is, people worshiped the temple rather than worshiping God, so the Lord Jesus warned them not to worship idols, but to worship God because He is supreme.” God’s words made us understand that the Israelites worshiped the temple at that time, however, the temple had become a place of trade, and Jesus had carried out His new work outside of the temple. By saying these words, God wants people not to worship idols anymore, and also tells people to find His new work outside of the temple. God is so wise! The incarnate God is called Christ, and Christ is the flesh donned by the Spirit of God. For God so loved the world, that he gave his only begotten Son, that whoever believes in him should not perish, but have everlasting life. 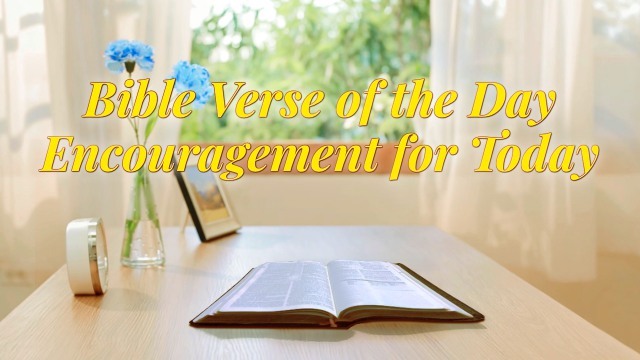 – John 3:16 Thoughts on Today’s Verse… This verse is the basis by which many Christians believe in the Lord. We can see God’s great..